JUPITER, FL, September 10, 2013—The human brain is exquisitely adept at linking seemingly random details into a cohesive memory that can trigger myriad associations—some good, some not so good. For recovering addicts and individuals suffering from post-traumatic stress disorder (PTSD), unwanted memories can be devastating. Former meth addicts, for instance, report intense drug cravings triggered by associations with cigarettes, money, even gum (used to relieve dry mouth), pushing them back into the addiction they so desperately want to leave. Now, for the first time, scientists from the Florida campus of The Scripps Research Institute (TSRI) have been able to erase dangerous drug-associated memories in mice and rats without affecting other more benign memories. 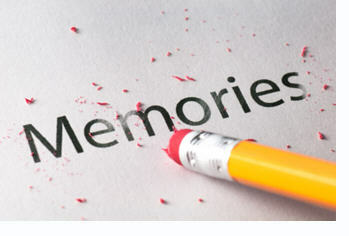 The surprising discovery, published this week online ahead of print by the journal Biological Psychiatry, points to a clear and workable method to disrupt unwanted memories while leaving the rest intact. To produce a memory, a lot has to happen, including the alteration of the structure of nerve cells via changes in the dendritic spines—small bulb-like structures that receive electrochemical signals from other neurons. Normally, these structural changes occur via actin, the protein that makes up the infrastructure of all cells. In the new study, the scientists inhibited actin polymerization—the creation of large chainlike molecules—by blocking a molecular motor called myosin II in the brains of mice and rats during the maintenance phase of methamphetamine-related memory formation. Behavioral tests showed the animals immediately and persistently lost memories associated with methamphetamine—with no other memories affected. In the tests, animals were trained to associate the rewarding effects of methamphetamine with a rich context of visual, tactile and scent cues. When injected with the inhibitor many days later in their home environment, they later showed a complete lack of interest when they encountered drug-associated cues. At the same time, the response to other memories, such as food rewards, was unaffected. “Selective, Retrieval-Independent Disruption of Methamphetamine-Associated Memory by Actin Depolymerization,” Young, E.J. ; Aceti, M.; Griggs, E.M.; Fuchs, Rita A.; Zigmond, Z. and Rumbaugh, G. Biological Psychiatry, published online 09 September 2013. Press materials provided by the Scripps Research Institute News Room.